With all the real-life atrocities going on in the world, you'd think the trend of comedies like Horrible Bosses that use murder as a punch line would start to dwindle. But no, they're thriving. Because, of course. (For the record, I love Horrible Bosses, but it does make me a little uneasy that studios continue to capitalize off the concept right now). 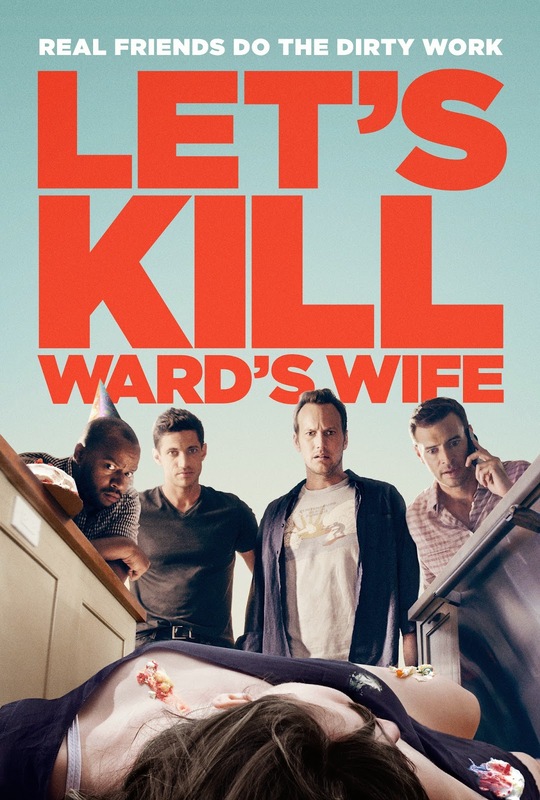 Now there's LET'S KILL WARD'S WIFE, Scott Foley's directorial debut that I first wrote about here. Tribeca Film has just released the official trailer for the film that follows a group of yuppie guys (Foley, Donald Faison and Patrick Wilson), who, well, plot to kill Ward's (Faison) annoying wife. Pretty self explanatory, I suppose. But how intolerable must she be if the only option is to kill her? Anyway, obstacles and hilarity apparently ensue. LET'S KILL WARD'S WIFE will be available on nationwide On Demand and iTunes/digital platforms beginning December 23 and in select theaters January 9. Uhhhhhhh.....I don't know what to say.